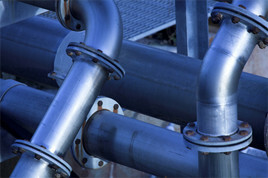 Leak detection and environmental compliance. 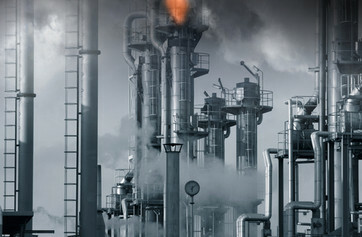 Think Environmental offers a comprehensive portfolio of compliance services for critical industrial facilities including refineries, plants, gas processing plants, and more. Best-in-class field operations are built on unparalleled expertise and a strong commitment to safety. Our field personnel are motivated through continuous instruction, cross-training, job rotation and career advancement. Built-in succession plans with documented policies and procedures ensure continuity for clients and consistent quality across job sites. Think Environmental leak detection services include EPA Method 21 monitoring and leak management. Our technicians are trained and certified in LDAR regulatory policies and procedures, monitoring procedures, component identification and record keeping, and first attempt and advanced maintenance repairs. Think Environmental technicians understand the regulatory drivers for first attempts, when the repair must be completed, and conditions for putting a component put on Delay of Repair (DOR). In addition to Method 21 monitoring, Think Environmental has technicians trained in acoustic leak detection. Through-valve leak detection is a cost-effective solution to identify significant emission sources and prevent expensive product loss to the flare. Acoustic leak detection is a convenient service to find leaking valves that need to be repaired or replaced. Increasing EPA scrutiny of cooling towers is driving demand for more frequent sampling and monitoring. Think Environmental has experts trained to monitor cooling towers and exchangers using the Appendix P El Paso Method, as well as an approved El Paso board which complies with government specifications. Our technicians also pull cooling tower and flare line samples for lab analysis. Think Environmental manages LDAR programs at approximately 100 customer facilities throughout the United States. We work with leaders throughout the industry and have been at many sites for 10 years or more, a testament to the quality of the service we provide. Think Environmental uses a Job Reference Material (JRM) system that bridges our corporate policies and procedures with our customer’s site-specific requirements and serves as the basis of the facility’s LDAR program. And our Safe Work Practices (SWP) program ensures that our employees are trained on and compliant with site-specific safety regulations. If you’re looking to establish an LDAR compliance program at a new facility or improve the performance of an existing one, Think Environmental welcomes the opportunity to discuss our competitive advantage. Creating and managing LDAR-specific digital P&IDs with component counts, tag numbers, stream information, etc. Let Think Environmental help you design and implement an LDAR compliance program tailored to your specific requirements. Think Environmental routinely performs unbiased, comprehensive 3rd party audits of both in-house and other contractors’ LDAR programs to identify both areas of strength and weakness, as well as to recommend best practices, etc. An LDAR program audit consists of both field and database reviews. 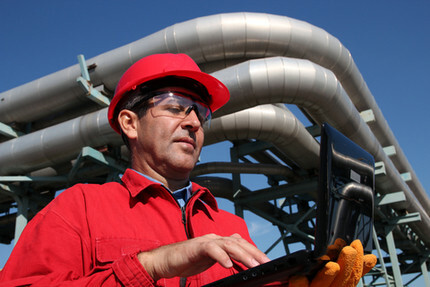 The field audit typically includes comparative monitoring, shadow monitoring, DTM/UTM field & written plan reviews, calibration records review, etc. The database audit typically includes verification of monthly/quarterly/annual monitoring, number of components monitored, repair attempts, DORs, etc. An audit can also be customized to meet a client’s specific requirements. Think Environmental offers in-depth LDAR training that includes both field and database instruction. Our training includes program set-up & management for in-house LDAR staff, and can also customize an “LDAR 101” program to meet the needs of facility operations and/or maintenance staff. An Optical Gas Imaging (OGI) camera survey is an effective solution for quickly and safely detecting gases to identify dangerous leaks and avoid costly agency fines. Think Environmental has certified OGI technicians available to perform facility IR camera surveys that identify significant emission sources from storage tanks, flares and processing equipment including pumps, compressors, etc. These surveys allow thousands of components to be scanned without the need to interrupt the process and reduces repair downtime. As part of our OGI services, Think Environmental offers a best-in-class OOOOa compliance program based on strong field management support and superior regulatory reporting capabilities. Let Think Environmental help you design and implement a BWON compliance program tailored to your specific requirements. Identification of program needs: re-inventory project, routing improvements, etc. Think Environmental offers DDES as both a one-time LDAR program validation project for audit readiness, as well as an ongoing compliance element of a best-in-class LDAR program. Think Environmental provides a turn-key fenceline monitoring program in accordance with EPA Method 325. Method 325A defines the deployment of passive tube samplers at facility property fencelines and the sample collection program. Method 325B defines the laboratory analysis of the samplers for Benzene. Our solution includes Method 325A sample placement and collection as well as Method 325B analysis via our preferred laboratory partner. Think Environmental also offers consulting services to assist with designing a compliant fenceline monitoring program and determining proper sampling locations, as well as with deploying the sampling stations throughout the facility. Our weatherproof sampling shelters are constructed of non-outgassing powder coated aluminum with a removable tube cassette capable of housing four discrete tubes at one time. Think Environmental provides Carbopack® X diffusive sampling tubes for each sampling location which are identical to those used in all of EPA’s field studies and Method 325B validation efforts. Tubes will be conditioned and blanked, per the method, to acceptable background levels prior to being shipped for deployment. Tubes are analyzed for Benzene using an NELAP Accredited Standard Operating Procedure (SOP) based on the guidelines in Method 325B. Field-ready passive samplers are shipped in Benzene background-free Pelican™ coolers that have an integrated seal to protect against contamination during transport. The combination of our field operations expertise, compliance support capabilities and database expertise make Think Environmental the premier full-service LDAR program management provider. Think Environmental has experts trained certified to visually measure opacity and evaluate visible emissions in accordance with EPA Method 9 and Method 22. 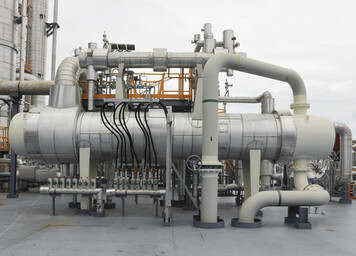 Facilities that produce visible emissions are required to monitor the opacity of their emissions to ensure they do not exceed an opacity limit. If the limit is exceeded, the facility may be subject to substantial fines. 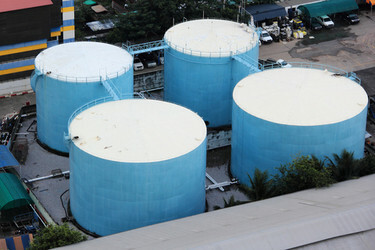 Think Environmental has experts available to perform storage tank inspection services including visual examination, foundation, coating and corrosion evaluations; as well as floating roof inspections. Upon completion, the inspector provides a preliminary report of the findings.